Is the Mueller Report a Booby Trap for Democrats? The premise in Mr. Simon’s piece is that the full text of the Mueller report could well be a booby trap for the Democrats. Now, it could be true. The problem is there is nobody other than Trump who has the wherewithal to carry out anything. We keep hearing about criminal referrals. We keep hearing about these bombshell stories of all these FBI people that are gonna be found guilty of things that we haven’t even imagined. We’ve been hearing about this. Devin Nunes is gonna do this and that and so forth. And it doesn’t materialize. I’m not gonna share with you the whole thing. 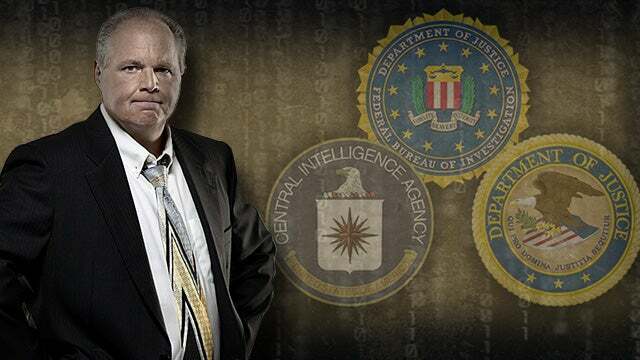 We’ll link to it at RushLimbaugh.com. But I am gonna give you some pull quotes from this thing. Here is pull quote number one. 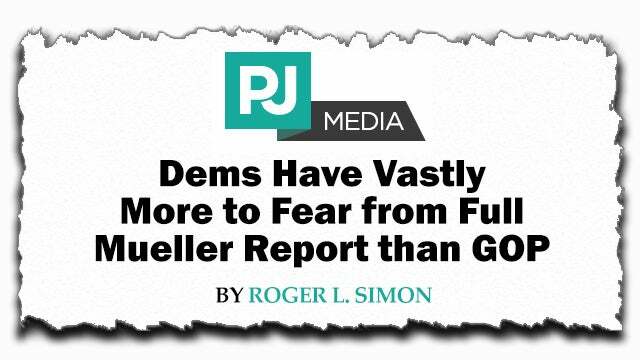 “The full text of the Mueller report –” remember, this is a Roger Simon piece at PJ Media. “The full text of the Mueller report is a booby-trap for the Democrats. And many of them not named Schiff must know or suspect it. Now, some of us have known this from before the Mueller investigation began. Simon’s point here is, it doesn’t matter what kind of innuendo about Trump’s character or personality or lack of qualifications or whatever other scandalous stuff, scurrilous stuff. The bottom line is, in 400 pages, there isn’t going to be any evidence of collusion. There isn’t gonna be any evidence of obstruction. The Democrats already know this. What they are doing right now is trying to promote the idea that there is something in there that Barr is hiding. It must be pretty bad, then the New York Times dutifully comes out with this story that friends and associates of some people on Mueller’s team are pretty surprised because they think there is some pretty bad stuff about Trump in there. But it’s not specified, and there are no names. It’s all anonymous. And the quotes do not come from actual members of Mueller’s team. So everything is falling in line exactly as it must to feed the Democrat vampires the fake news blood that they need. They can’t live without this fake news. They cannot. Their networks can’t survive without it. Their audiences can’t get through the day without the belief that somewhere is evidence that Trump is a goon or a cheater or a traitor. Mr. Simon’s point here is 40 FBI agents, 19 anti-Trump, pro-Hillary lawyers, $30 million produce 400 pages alleging no collusion and no obstruction. The next obvious question, what the hell was this, then? Why was this done? Why was this investigation launched? Who did that, why, and when? You mean, after 40 FBI agents, over two years, $30 million, 19 Hillary-loving lawyers on Mueller’s team, and nothing? Meaning, he believes that to get to the bottom of this, which people are then gonna demand, we’re gonna have to go to the Obama administration. Look, I’m just pointing this out because it’s another source saying it and now putting it in fascinating terms. Trapdoor, booby trap, bad news for the Democrats, but to get to the answer to this, why it’s happened, where it started, you do have to go to the Obama administration. There’s no question this started in the Obama administration. John Brennan alone proves that. James Clapper seconds it. The Hillary Clinton campaign’s ties to Obama, there’s no question that all this happened at the top of the Obama DOJ and FBI. Next pull quote: “Over the next few months we will be seeing the fight of our political lives to keep that threshold from being crossed.” Once the Democrats realize that the real answers people are gonna want can only be supplied by looking far back to the Obama administration, then that’s when they are gonna shut it all down. And all of that is true. And the more they’re out there claiming that Barr is lying and Barr is not being honest and Barr is holding back the truth, that Trump colluded, and Barr is there for a reason. Barr is there to clean all this up. I don’t know this, I’m guessing, but I’m pretty confident that the reason Barr is there, I do believe that he is somebody that cares about the image, the integrity, and the institution of the DOJ, the FBI, and the law. And we are not alone, folks, in seeing how it has been bastardized and shredded and corrupted. And he’s the kind of guy that would want to fix this no matter who it helps or hurts. 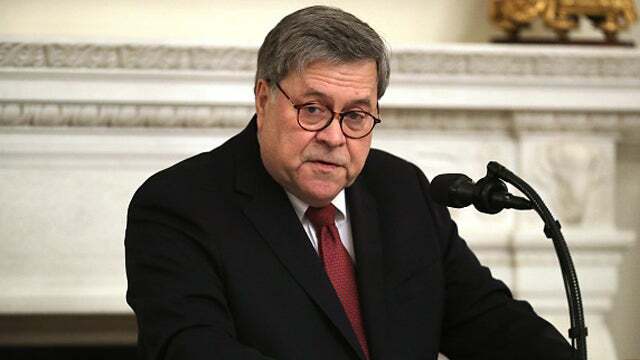 And if Nadler and Schiff and these Democrats keep telling the media that Barr is a dishonest Trump hack, then they’re opening the door to rooms they don’t want to go into. Meaning people in America are already getting fed up with Democrats. They’re already fed up with this never-ending witch hunt that has no evidence of anything behind it or pushing it. The Trump campaign manager says that 34% of the people that went to the Trump rally in Michigan on March 31st were Democrats.